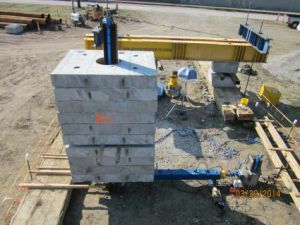 Last spring, DBA conducted a construction phase load test program for a U.S. Army Corps of Engineers floodwall improvement project along the Missouri River in Kansas City, Kansas. Located on property owned and maintained by the Kansas City Board of Public Utilities (BPU), the BPU floodwall was slated for structural improvements including a series of buttresses founded on 24-in drilled shafts. 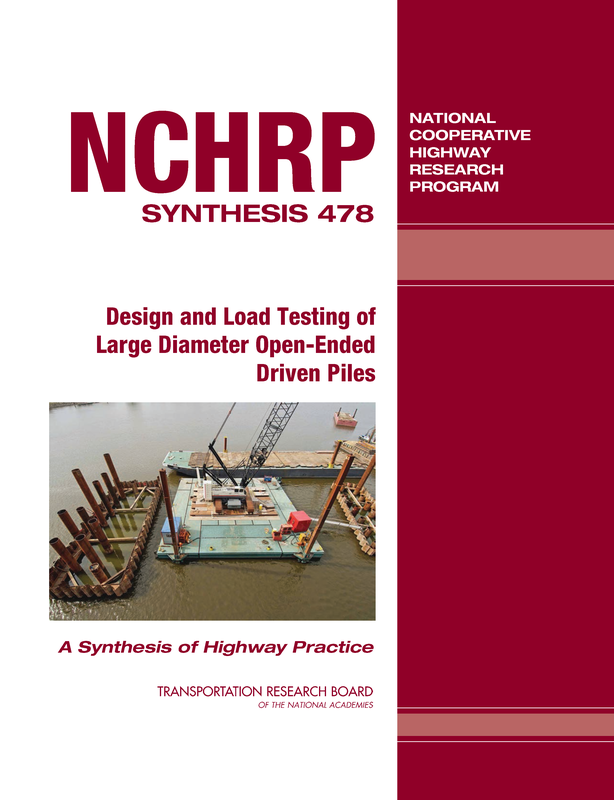 As part of the project contract a load test program performed under the direction of a qualified P.E. and D.GE was required. 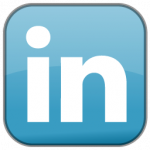 General contractor L.G. Barcus & Sons, Inc., secured our Paul Axtell, P.E., D.GE as the qualified load test expert. DBA teamed up with load testing subcontractor Applied Foundation Testing, Inc., to perform the static load tests. 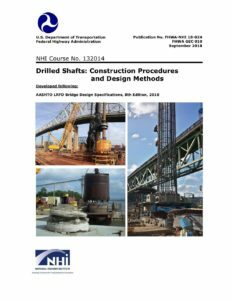 The load test program requirements included three test shafts, a statically loaded axial test shaft, a statically loaded lateral test shaft, and a combined statically loaded axial and lateral test shaft. The required combined lateral and axial test shaft provided some unique challenges with respect to applying the loads and collecting data. As can be seen in the picture above, the axial load was applied using dead weights. We have added selected pictures from this unique project to our web albums, which can be viewed here. 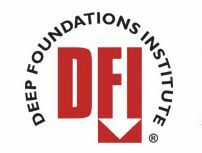 The Spring 2010 issue of Deep Foundations from the Deep Foundations Institute includes an article by Dan and Paul (with a little help from yours truly!). The article is based on our paper presented by Dan at the 34th DFI Conference on Deep Foundations last October in Kansas City. The kcICON project continues to roll along. Check out their Facebook page where they have lots of photos and links to their YouTube page. They recently completed the widest bridge deck pour ever for MoDOT. Go to our Publications page to see the article, or click the image below.